Are you considering letting your children share a bedroom? Are you worried it might end in disaster? My husband said I was crazy when I suggested moving our kids into the same room. My son and daughter constantly argue, so in theory, having them share a bedroom should have gone horribly. Instead, it’s the best thing I’ve done. 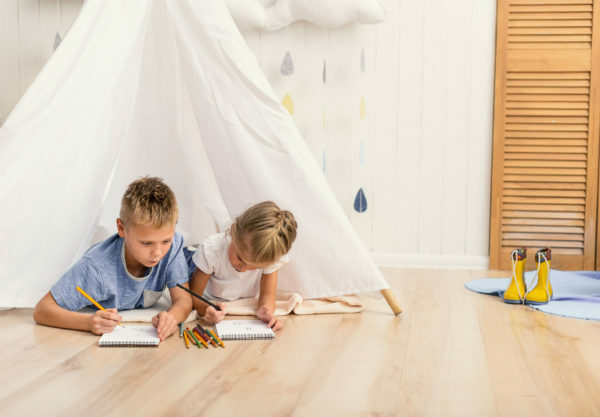 Let us walk you through the secrets to shared bedroom success with our tips on making the transition stress-free and decorating the space so both children are happy. We planted the idea in our son’s head asking him if he would like a room especially for his toys. Once he said yes we asked him how we could do that – where would his sister sleep? He came to the conclusion that his sister should sleep in the same room as him and then they could have a toy room. Clever child! If you’re not quite ready to take the plunge into shared bedroom space, how about testing the waters with a trundle bed? Trundle beds are a great way to get the children used to sleeping in the same room. The trundle pulls out into a separate comfortable bed that is ideal for younger children who may not feel comfortable sleeping in a high-to-the-ground bed. Plus, once you make the permanent transition, the trundle mattress can be removed and you can use this space for storage. Keeping to a sleep schedule that involves both children means less arguments and a smoother, quicker routine. Make it so both kids brush their teeth together, listen to the story together and go to bed together. That way, Child One doesn’t get to stay up later waiting for you to read to Child Two. All bedtime preparation happens at the same time and that’s that. There is no negotiation and the process is a lot faster. Bonus: more adult-TV-time for me. 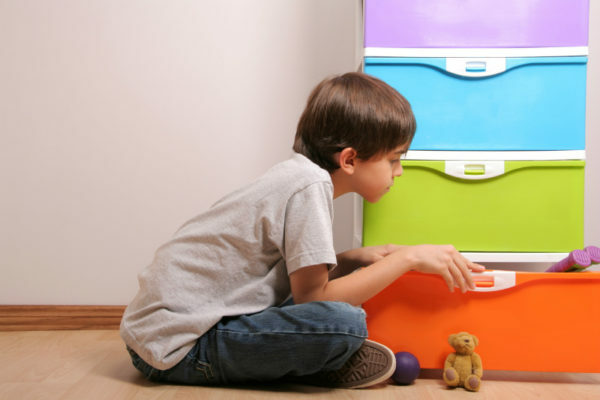 One of the biggest concerns you may face is decorating the room so both children are happy. My daughter wanted Elsa; my son wanted Ironman. Opting for furniture that is gender neutral is a good place to start when decorating. White looks good with any colour and that way you can have more freedom to use any theme. Or, stick to classic white decor with only a splash of colour to keep it calming and tranquil. White didn’t exactly work for us so what we did instead was compromised on aqua blue for the walls, decorated one wall with my daughter’s posters of Elsa and decorated the other wall with posters of Ironman. Somehow it works and it also gives them each their own personal space within their shared room. What about all their clothes, books and toys? Split the wardrobe space into two as well and use different coloured wicker containers or canvas baskets to keep their items separated. This also helps them learn to pick up after themselves and to put their shoes, clothes and bedroom toys in their designated baskets. Do your children share a bedroom? Does it work for your family?